Calgary Music Bars: Where do you Find Good Entertainment around Here? Now playing in Calgary music bars. Search for more music in Calgary. Who's playing where? What Calgary music bars feature these two bands? What bands? How's this for diversity? How's this for good Calgary entertainment. 1. Calysto Steelband - The tropical extravaganza of the north. This outfit adds a touch of class and an element of warmth to life. They never played many bars, and prefer public, all-ages events. With Calysto, you will enjoy relaxing instrumental versions of familiar and unusual reggae, calypso, pop and a few Latin-styled tunes. I'm sure you'll enjoy it all. So if you do get a chance to see them, you would remember this band for certain. If you up early enough on a Sunday (the day of the Annual Calgary Marathon) you will probably find Calysto playing on the race route near Kensington, just to please the participants...and everybody else in the area. Visit the Calysto Steelband website at https://calystosteelband.ca/ for a bit more about this group. What they're up to now and what they look and sound like. This band features roughly 12 players performing sultry tropical steel drum music all at once. It fills the room. Quite literally. But the band always leaves some space to dance. 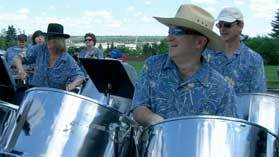 Watch for this great steelpan band in Calgary. 2. 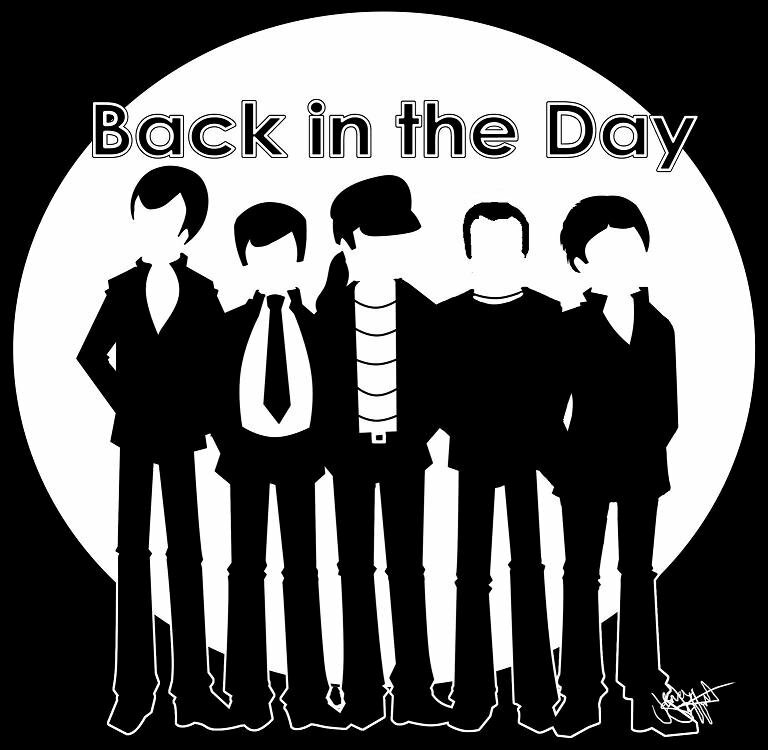 Back in the Day - Rock 'n' Roll as you remember it. Rolling Stones, Rick Springfield, U2, Bad Company and the Beatles. Just to list a few. Does it get any better? Oh, yeah... Add a little country too...maybe even some alternative music selections from the 90's. Come hear famous songs from up to 40 different renowned groups of your life. Dance Dance Dance (and enjoy a few beers). Now playing at live music venues in Calgary. One of this group's regular stops is Big Al's on 17th Avenue SE. It's always a good time. If you're on facebook, you can always find a bit more about this band at https://www.facebook.com/Back-In-The-Day-172263816140829/ - check it out! Can I see them in Calgary Music Bars? You may ask... See maps and/or other information on the pages that follow. Back in the Day at Calgary bars. Steel Drum Pans to find more about this always great Calysto Steelband. By the way, I'm Barry. You'll find me in either Calysto Steelband or Back in the Day. Go back from Calgary Music Bars to the Calgary City Maps homepage.